Dr. Robert T. Higginbotham joined Pediatrics East in 2001. He completed medical school at the University of Virginia and pediatric residency at the Medical University of South Carolina. 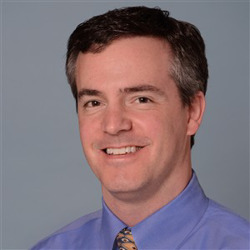 Dr. Higginbotham is board certified in pediatrics and is a Fellow in the American Academy of Pediatrics. What he enjoys most about being a pediatrician is giving new parents confidence in taking care of their babies and helping them to understand that their children can be resilient. In his free time, Dr. Higginbotham enjoys reading and spending time with his wife, daughter and son.